Men's Stainless Steel Watch Only $13.99! You are here: Home / Great Deals / Amazon Deals / Men’s Stainless Steel Watch Only $13.99! 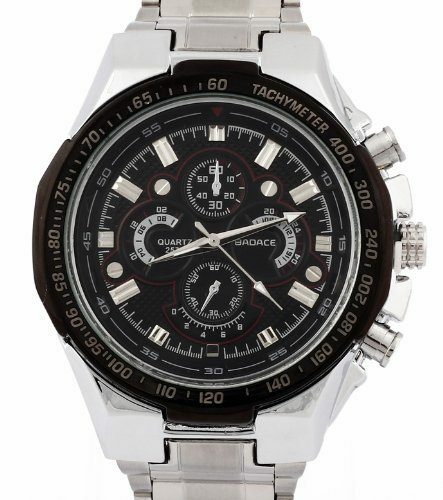 Men’s Stainless Steel Watch Only $13.99! If your husband or significant other has been wanting or needing a new watch but you don’t want to spend a lot of money on one, I have a fantastic deal for you! Grab this Men’s Stainless Steel Watch for just $13.99 (reg. $98.99)! And, you’ll get FREE shipping with Amazon Prime or Super Saver Shipping! My husband’s been needing a new watch, and I’m totally getting this one for him. It looks really nice and has a 4-star rating. And, you can’t beat the price!